The Migration Place is a division of Irish Bentley Lawyers, and we pride ourselves on achieving positive outcomes for our clients, and our clients can take comfort in knowing that their application will be handled professionally and with the maximum prospects of success. 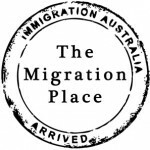 We are Australian migration lawyers as well as registered migration agents, which gives our clients peace of mind that they are dealing with highly educated and trained professionals to help with their migration matter. This also means that we can provide legal services beyond the visa application itself. Global Hub Pty Ltd is a new generation, Brisbane-based accountancy, business and migration adviser, providing Small to Mid-sized businesses with quality and affordable solutions by utilising cloud-based technologies. Global Hub Pty Ltd was founded by Jumpei Morita (CPA, MARN: 1382692) to provide more efficient and dedicated professional services to businesses in Australia and overseas. The ultimate aim of our business is to become the leader in providing a one-stop solution for all businesses. We also offer all our services in 3 languages, namely English, Japanese and Chinese Mandarin. Jumpei has 10 years’ experience in the accounting industry through both commercial and a national accounting practice in Australia. During this time, he has assisted a number of local and international clients in Australian taxation and business migration matters as well as structural and tax planning advice. Monarch Migration and Education was founded in 2009 by the Director, Ian Parker. Our goal is to offer a comprehensive migration service that can assist you with your total move to Australia. Whether it be the initial visa, finding employment or simply a place to live, we’re here to help! We pride ourselves on high quality customer service with the highest levels of professionalism and ethics. We provide an efficient, reliable and best value migration advice with additional services in employment, relocation and finance.